Glancing at your car’s dashboard to figure out if you have gas and how fast you’re going is quick, right? And without that information “Pain” is experienced! 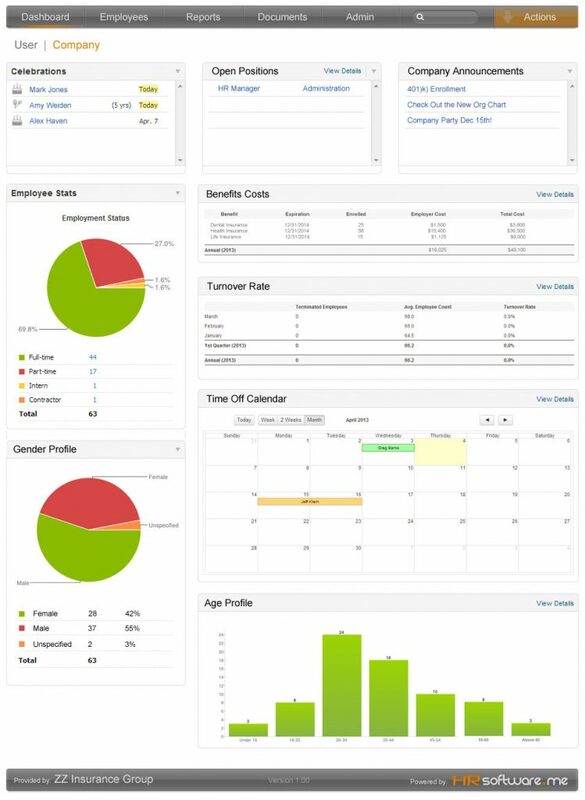 Well that same simplicity was the key for the HRSoftware.me Company Dashboard! The Company Dashboard is a visually rich, modular, real time HR related business monitoring system allowing executives and upper management to quickly view, assess and drill into (if needed) a wealth of information about their company’s human capital at a glance. Too often, companies endure repercussions of unintentional imbalances in their work force or offerings. HRSoftware.me helps reduce blind spots by providing visibility putting key human resource related indicators in a real-time intelligent Company Dashboard making it easy to identify areas that may need attention. Not every company is the same so it makes perfect sense that the Company Dashboard can be customized to look the way you want it to. Simply drag any module where it makes the most sense for you! You can also turn modules on and off based on your own personal or corporate needs. While the dashboard does a great job of showing you the key information, the details are simply a click away. Drill into the details of any module by clicking the “View Detail” link and you’ll have all the detailed data used to compile the modular summary in the Company Dashboard!